Well hey!! I hope you had a nice weekend…a long weekend if you’re in the States! I have four new patterns to share with you finally. Kathy quilted this with my favorite loopty-loops. I used a lot of Dixie fabric in this quilt, including the backing and the binding. 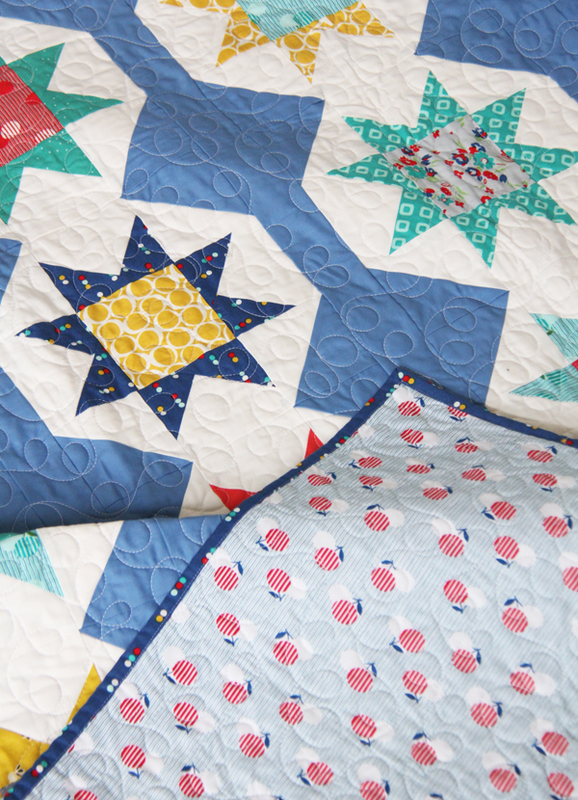 You can see the material requirements for this quilt here in my shop. It’s available as a PDF or paper version. Those colors! Bought the pattern – onward to find that blue background!! This is stunning, Allison. Especially the use of the fabric Copen, by Kona. May I ask the dimensions of the focal squares? I have a stack of fabric and may have to ‘fussy cut,’. Oh my gosh! I just love this!! I wish I had no WIPS right now cuz I would make this right now! Of course I should probably get ready for work but oh well. 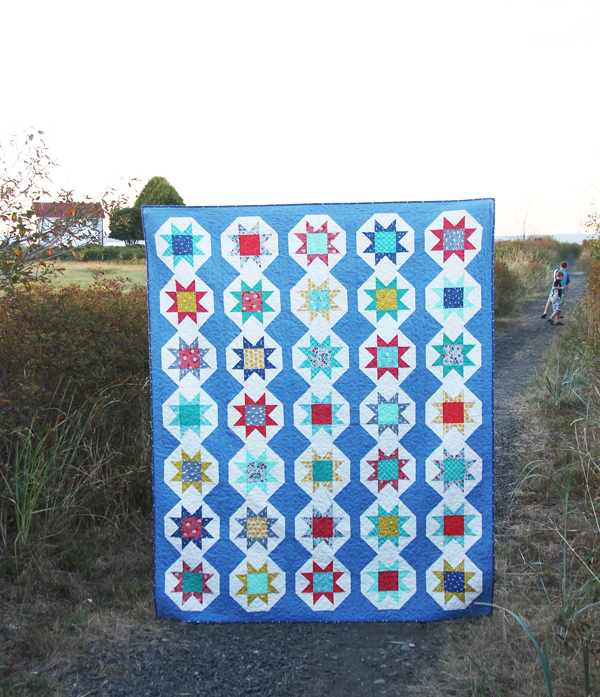 I’m buying the pattern and putting this on the top of my long list of quilts I want to make! Beautiful! 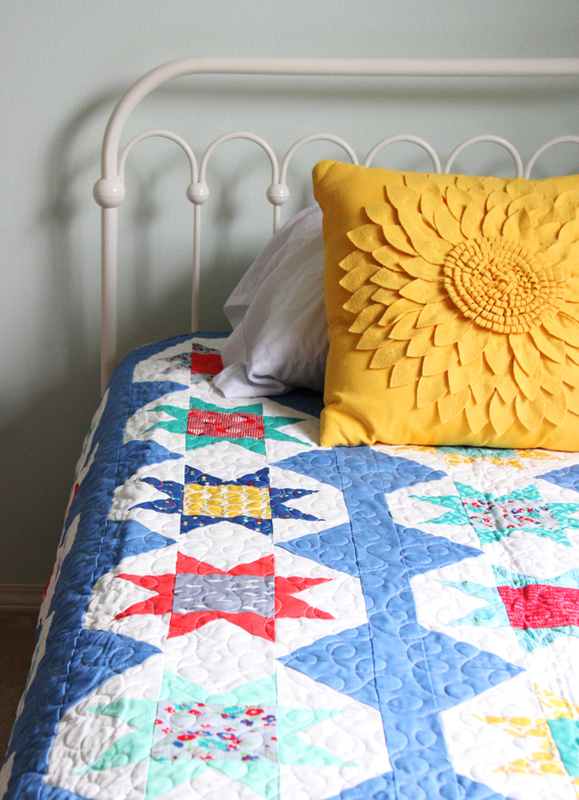 Though I like the quilt, that gorgeous pillow really caught my eye. It’s beautiful. Is there a pattern in the works for that? It’s from Target! Probably easier and cheaper to buy! But I do have a tutorial similar in my Tutorials for a Petal Pillow with red petals…kind of the same thing just make the back and flower the same color! Love the pattern, especially the way the background fabric frames the blocks. I’m so crazy about stars – this one is a MUST! Love the Copen blue – I’ll have to grab a few yards of it as well. Nice photos! I just have to say that of all the blogs I am subscribed to, yours if by far my most favorite one. Sometimes when I come home from work and I’m too tired to do anything I’ll just visit it to look at all the beautiful quilts you make. 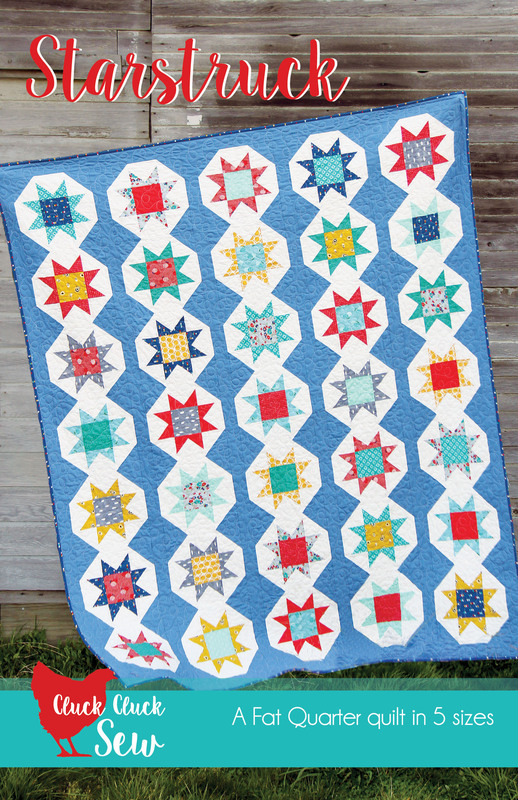 I just LOVE the stars in this quilt. Thank you for sharing your beautiful talent with us. Your posts definitely make my days brighter. I haven’t had the time to quilt in a long while so coming here makes up for that. I Love the colors and the pattern! The yellow pillow rocks with the quilt and Jane is the cutest baby in the world with those expressions! Please, kiss her face for me! 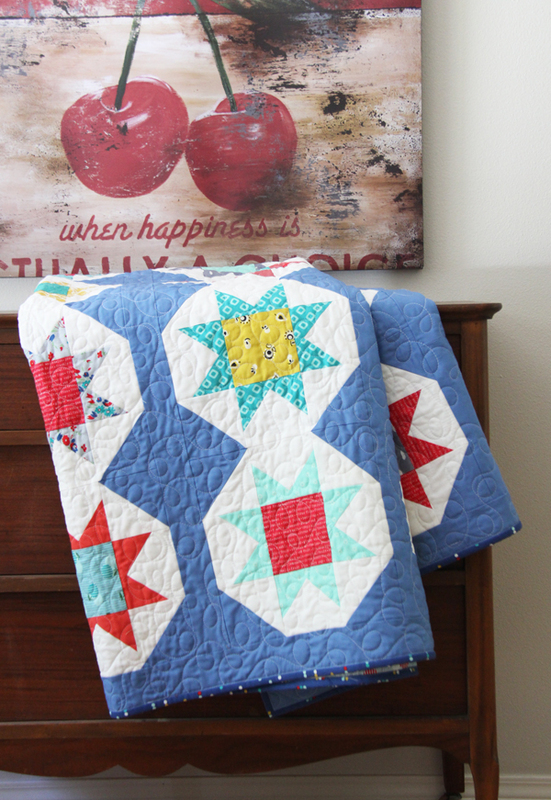 Love your quilts! They look fabulous with Pt. No Pt. as a backdrop. Good eye!! We love P no P!!!! It’s home, so hard to miss. 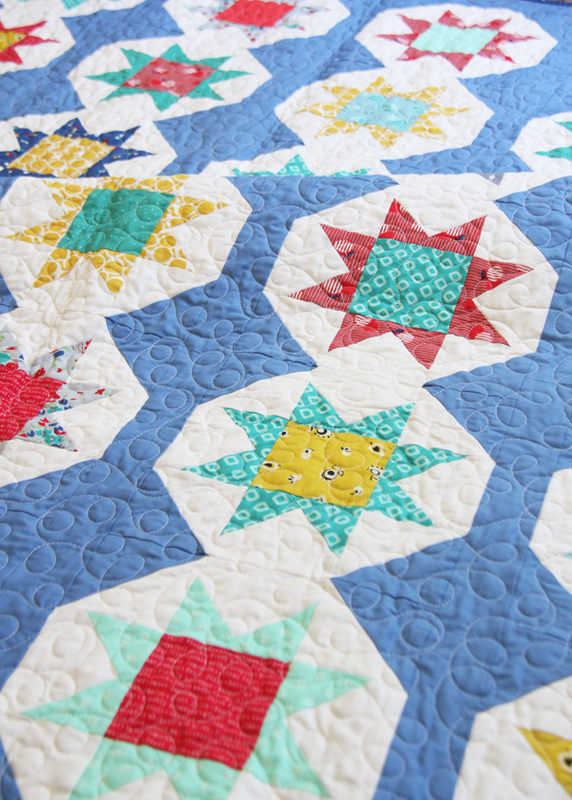 Love your starstruck quilt! The colours are so bright and pretty. Nice nice to see when I’ve had such a lousy day!!!! Allison, you are amazing. 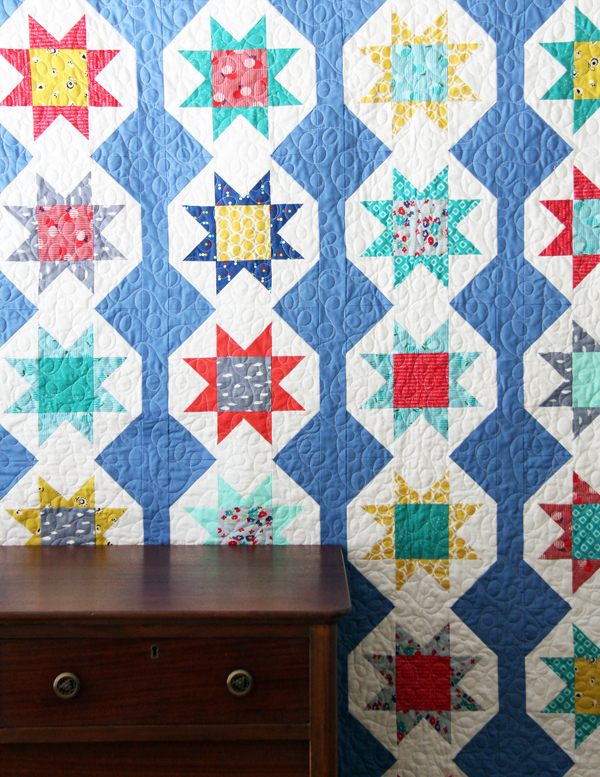 I love all of the quilts that you design and make. Thank you for sharing your talents with us. You inspire me! 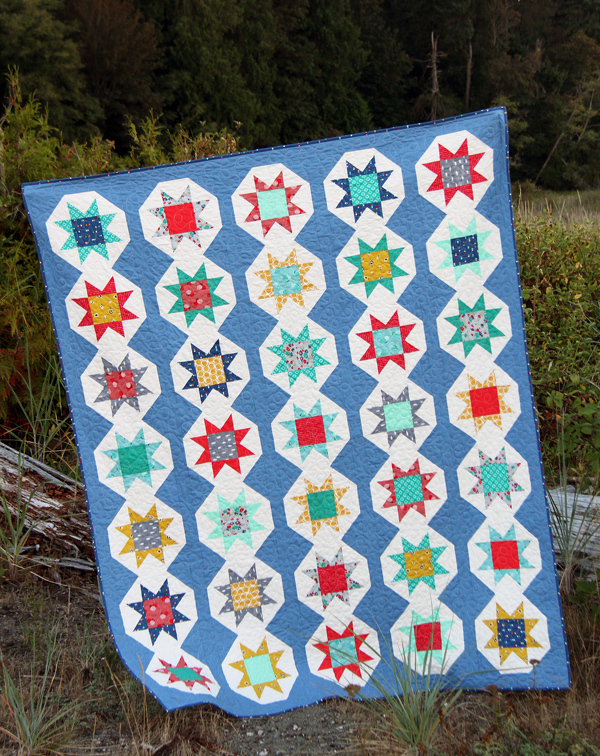 What a perfect background for these multicolor stars! I didn’t know I was getting blog posts from a giant–cool :) And, I agree, there is nothing more aggravating than a skimpy throw.